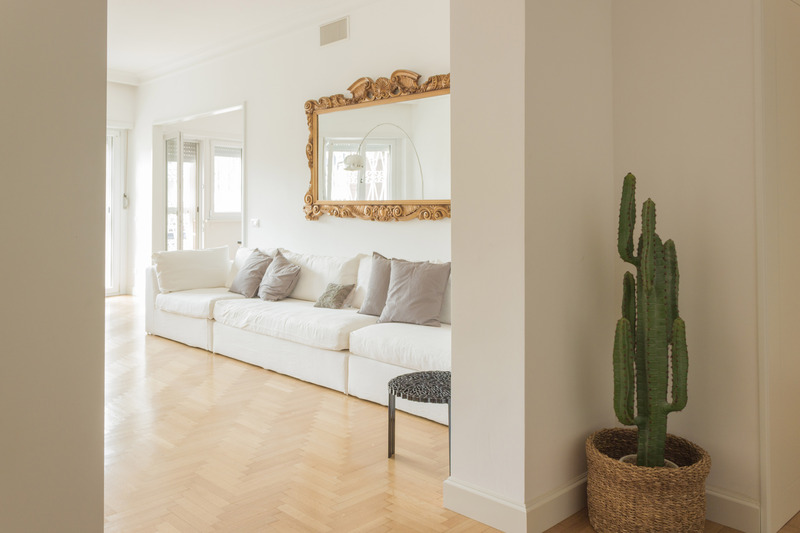 It’s a very big apartment, around 200 m2, in the heart of the Parioli district in Rome. 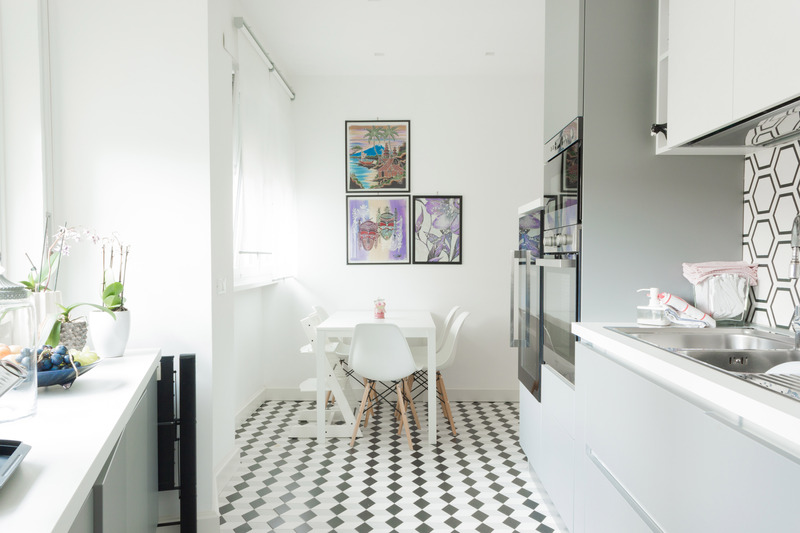 This very bright, spacious apartment was completely remodelled for the needs of the new owners. 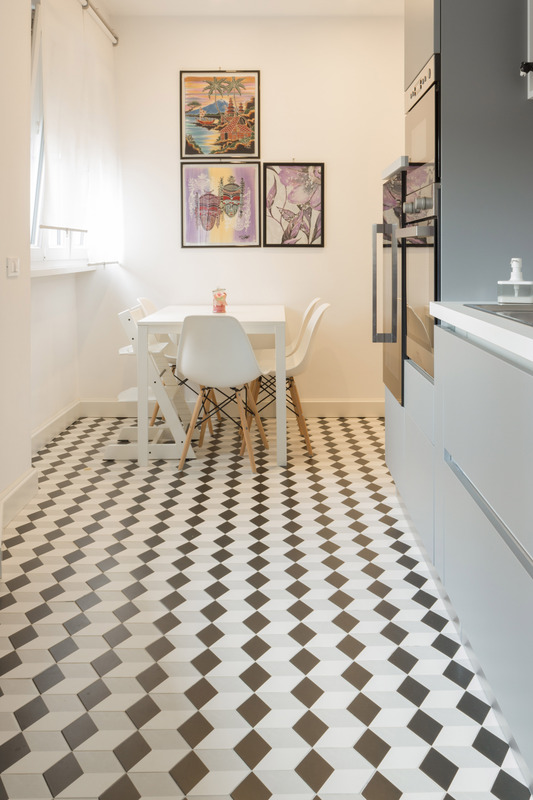 The whole design of the apartment centres around a delicate balance between ancient and modern, which we wanted to highlight in every room. Classic spaces featuring important antique furniture and objects and other famous pieces of contemporary design combine to create elegant, sober spaces with clean lines. 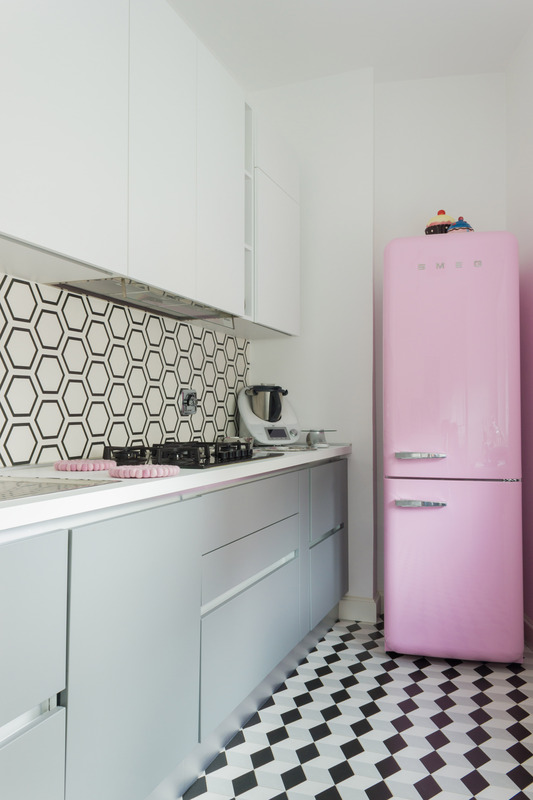 That’s why in the kitchen we used hexagonal ceramic tiles, combined with modern lacquered furniture, to give a retro feel.